During this meeting I will listen carefully to your ideas and find out how you would like to use your garden and the particular style or feel you wish to create. It can help the discussion if you have any images of gardens or planting styles that you would like to be considered in the design. We will also discuss your budget, which will help from a design perspective to ensure that construction costs meet your expectations. This is a more detailed look at your garden during which I will record the key information required to produce detailed a scale plan. We will also have a further discussion to establish a more detailed brief. 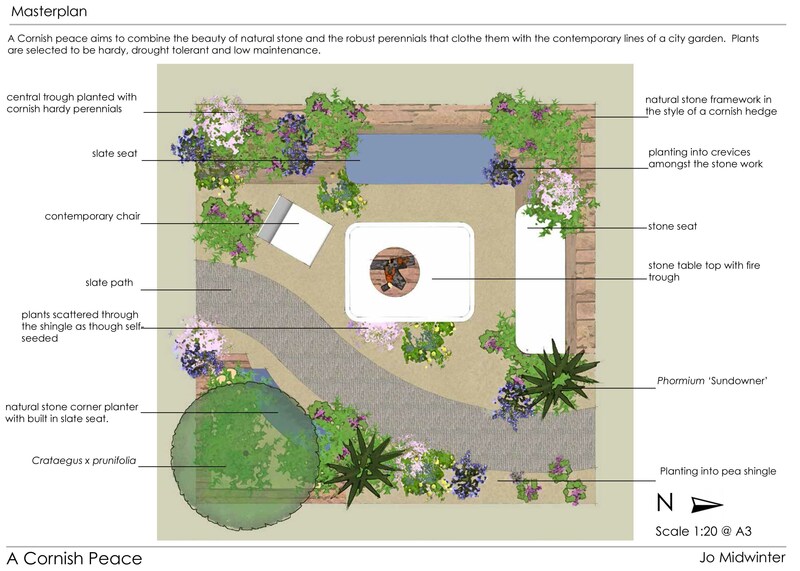 Using the site survey and information provided in your brief I will create a concept design using sketches and mood boards to help you visualise your new garden. This is where you will have the opportunity to feedback and tweak things if necessary. Only when you are happy with this sketch stage will I draw up the masterplan. When the design has been finalised I will prepare a masterplan for your new garden. 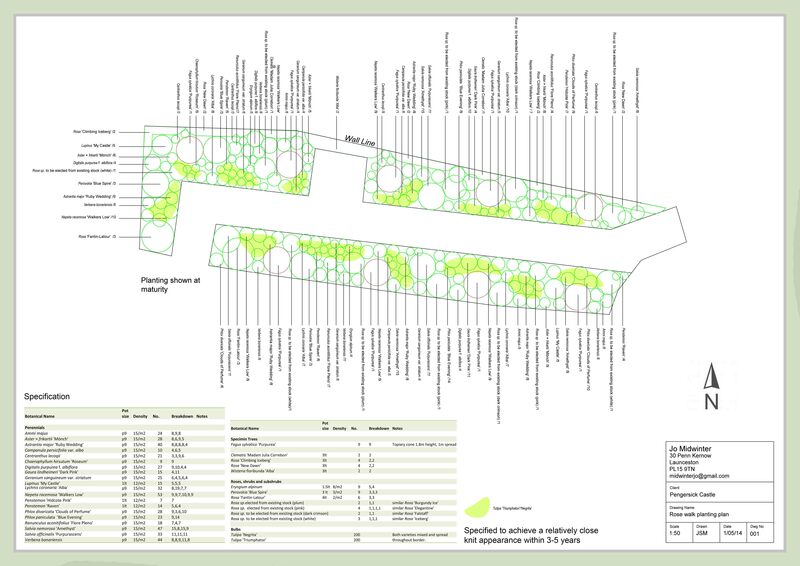 The masterplan will be drawn to scale and will contain information about the features and finishes in the garden. The masterplan will provide sufficient detail for contractors to work from. A planting scheme will be developed to complement the design and suit the particular growing conditions of your garden. The planting plan will show the location of new plants and any being retained. A plant schedule detailing the plant names, sizes and numbers will be prepared and sent to a number of quality nurseries to quote for supplying the plants. I can monitor the project at agreed times to give you peace of mind that it remains within budget and that our high standards of finish are met. 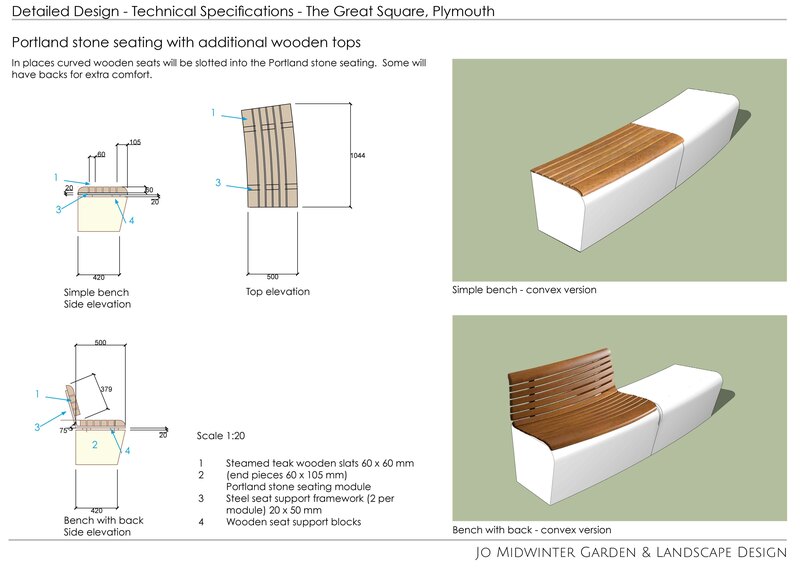 This includes setting out the design with your chosen contractor, visits during times of detailed project installation and implementing the planting scheme.